You can interact with the door but there's something blocking you from going inside. Also, this blocking extends to outside where you can't enter through the gate on one side. 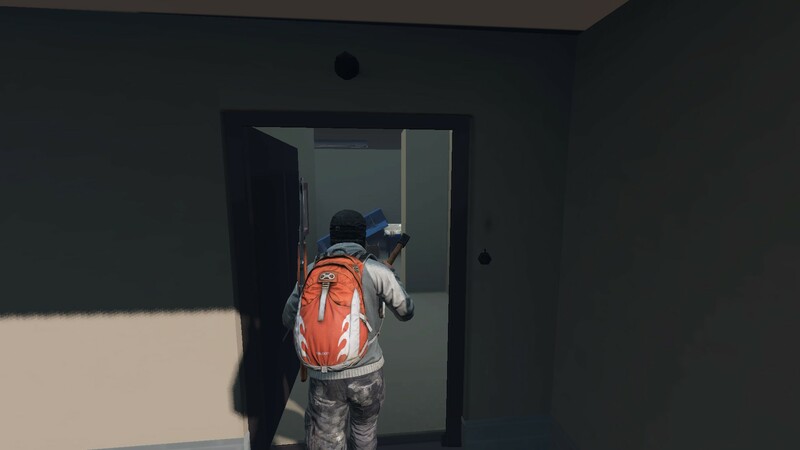 Go to upper Berezino guardhouse by the hospital at the entrance to the military tent enclosure.